Today I was at a courthouse wherein I occasionally practice my trade. When I was going through security by the entrance, an older gentleman smiled and waved at me as he left the courthouse. Of course, I waved back even before it dawned on me that he is another lawyer whom I know but have not seen for a few years. It took a moment to recognize him because he looks much older than he did when we last saw each other. Obviously, he recognized me right away. I know why. It is because I have not aged a bit. I went to the courtroom where my case was on the docket. There were two other lawyers I know, or knew, in the same courtroom. I have over the years had cases with each of them. They used to be approximately my age. Now they are both much older than me. The Denver defense lawyer from my past is now bald and fat. 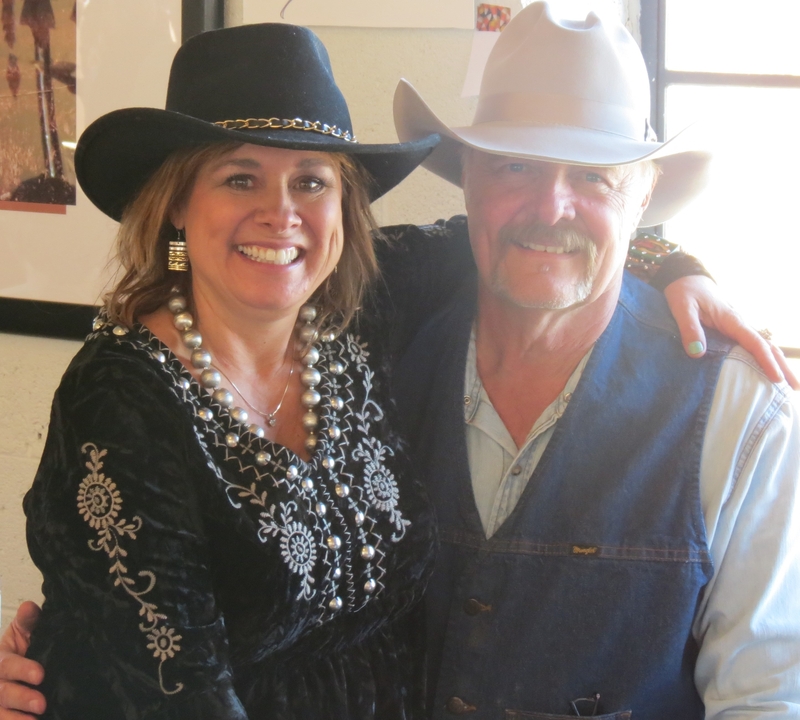 My friend from the Colorado Trial Lawyers Association board of directors has gray hair and, gasp, wrinkles. Poor guys! So I told Miss Sugar about the three “old” friends I saw today. She wondered aloud whether they are telling their wives about seeing me and how youthful I still look. What do you think she meant by that crack? I could not tell if there was (a) sarcasm or (b) simple pride in her trophy husband. I don’t really want to know the answer. I will go with (b). Regular readers will recall that the installation of our electric gate involved a mishap. The trencher cut a water line for the drip system that irrigates 14 trees lining the lane and another 9 trees and other landscaping across the lane from our house. 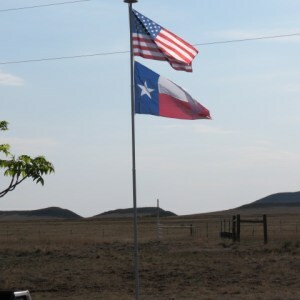 We call this area the flagpole area because, as you might guess, we have a flagpole and fly both the U.S. flag and a Texas flag. The broken water line has prevented me from the spring task of hooking up the drip system so as to actually water the trees. It did not prevent Sugar from doing that very thing. So while I was engaged in my sedentary work as a lawyer, Sugar took matters into her own dainty hands, again. She figured that if she plugged the one end of the PVC water pipe, the water could get down the lane to those 14 trees and she could use a hose to reach the flagpole area since it is across from the house. So she did just that. Without me. Again. Except, the plug blew out when the force of the water came through. And I will tell you why. Sugar ain’t as strong as me. So, she sweet-talked me into laying on the ground, reaching into the hole, and tightening the clamp with a screwdriver so as to hold the plug in the PVC valve. And I done like I was told. And it worked. Plumb good! That, my friends, is called Team Work. It was a combination of brains and brawn. Just the way I like it. Miss Sugar is not your typical beauty pageant queen. In addition to the swimsuit and evening gown competitions, she could have won the handywoman contest, if there was such a thing. Last year, I wrote a post called Do It Herself Plumbing https://cowboylawyer.wordpress.com/2013/05/18/do-it-herself-plumbing/. Now she has expanded into another trade — that of an electrician. Sugar wanted an electric gate out by the road so as to control access to the lane up to our house here on the ranch. We have occasionally had uninvited visitors drive up to the house and ask to hike, hunt, buy firewood, or just directions. I don’t mind when I am around, but Sugar is skittish about men coming to the door with guns when I am not around. So, we had the gate installed by professionals. One guy operated a trencher for the underground wire. A couple other guys put the arms on the gates and installed the “brains” for the system as well as some solar panels. A master electrician hooked it all up. Sort of. I had to go to town to my law office that day or I would have done it all myself. Part of that sentence is true. When I got back to the ranch, only the electrician was there. I was surprised that he had been there most of the day. He was trying to get the two gates to open and close simultaneously and to meet in the middle. It still was not working when he left, frustrated. Sugar had read the directions. She had researched which system to get. She did not like how the electrician had left it, so she finished the job herself. You are wondering, of what value am I? That is an excellent question, asked by many who know me. Sugar found a use for me. While she operated the control panel, I stood by the gate and informed her when the gates were lined up perfectly so she could program the system to my specifications. It was a two person job. One person needed technical skill; the other person needed eyes and a mouth, as well as aesthetic opinions. So now our gates work great by remote control. You are welcome, Sugar. I was glad to help. I have written previously about acquiring a cat who disappeared for nearly four months. Then my wife, Sugar, saw a photo of a cat at the post office. Someone had found a cat and was looking for its owners. Sugar recognized it as our cat and we went to retrieve it. I don’t believe it is our former cat. Sugar says that it is. The cat we now have looks a lot like the cat we lost, but with one difference, which is a difference that I consider significant. The cat we retrieved is an un-neutered male. The cat we lost was allegedly a spayed female. Sugar has decided that was a mistaken description. She thinks we were misinformed originally when we “rescued” the cat we first had. Whether or not this is a case of mistaken identity, the cat is here and I will just shut up. The problem with the Pharisees was that they did not see themselves as sinners. They believed that they were better than “the general public.” That self-righteousness bothered Jesus, as he knew their hearts, not just that they followed rules religiously. The poor Pharisees struggled, it seems, with the sin of pride. Their attitude of superiority troubled Christ. The woman caught in adultery was forced to recognize that she was a sinner. The Pharisees did not see that they were sinners. Lord, we acknowledge that we are sinners and are grateful for Your loving mercy. This week we remember the sacrifice of Jesus Christ dying on the cross for us. We remember the rest of the story as well — the Easter message of Christ’s victory over death. Tomorrow is the filing deadline for 2013 federal tax returns. Many taxpayers procrastinate about working on their returns. I am not one of those character-flawed citizens. I started my turbo-taxed return way back yesterday, which is long before tomorrow’s deadline. I might even finish it today. Lesser humans will still be working on their returns tomorrow evening while I will be lounging in front of the TV. Don’t you wish more people could be like me? Sugar has been on a mission. Her mission is to secure the borders of our ranch. Since it is fenced, the primary access is to enter the property via our lane. We already have a traditional ranch gate made of round posts, but Sugar got into her head that it must be enhanced. I think she got the idea when we retrieved our cat from the neighbors, whose place has an electric gate. So, now we are getting an electric gate. Personally, I have not worried about our security during the twenty-plus years of residing here. I typically close the gate only when cows are coming up the road on a cattle drive to change pastures and we don’t want them to detour up the lane. 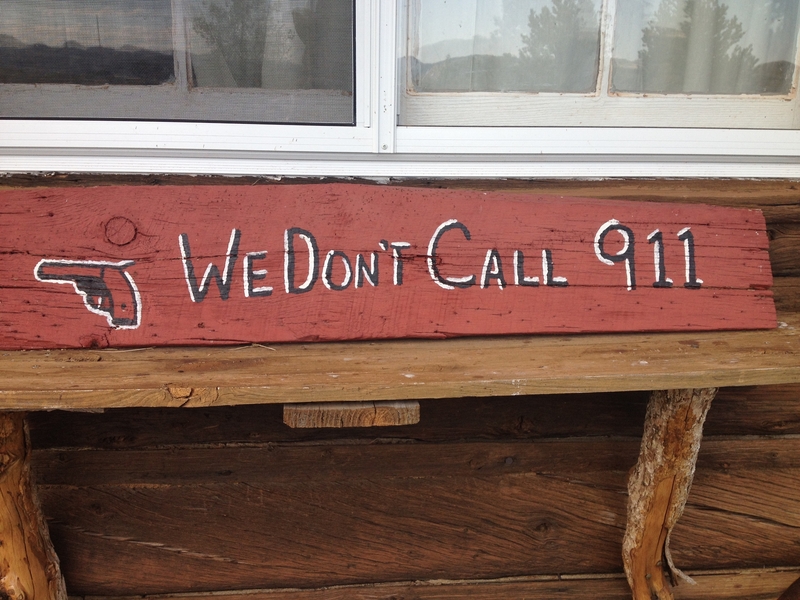 I have felt that our sign, which says, “We don’t call 911,” was sufficient deterrent to would-be robbers. Nevertheless, Sugar apparently does not trust my trigger finger. She got security cameras for the front and back of the house. She got alarms on the doors and windows, and now she is getting an electric gate to be closed except when we are coming or going. It works with a thing-a-ma-bob similar to a garage door opener. Sugar researched what kind of gate opener (and closer) to get. It is electric, but we do not have power outlets at the end of the lane, so ours is powered by solar panels. My electrical training being limited to a semester of junior high electric shop class, Sugar hired professional electricians to do the installation of the solar panels and all. It did not hurt my feelings, but my old shop teacher would be insulted that Sugar did not have confidence in the training I had received. Oh, well. I did not want to do all that work anyhow. 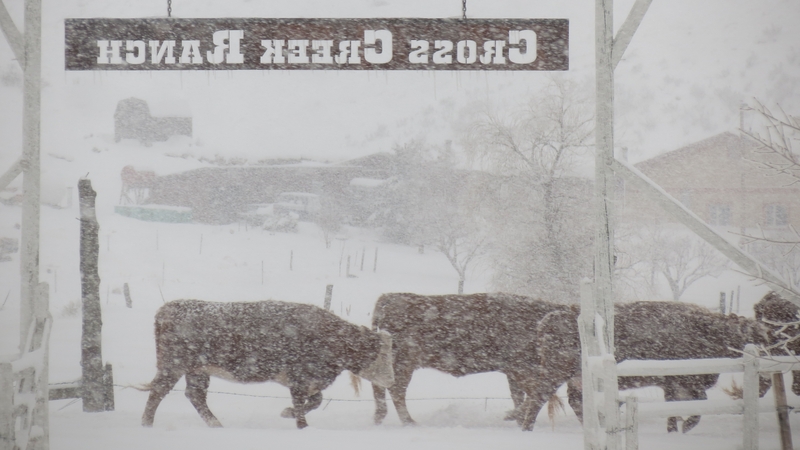 Now if you want to come visit, you better call first, so we can open the gate for you. Or call from the gate. If we ain’t home, you are out of luck. I guess that is Sugar’s goal — to not have company when we are not present to act with proper hospitality. Since getting our cat back and confining her to the porch, both of us have to adjust. First, allow me, dear reader, to orient you to the scene so you might visualize what I am about to relate. There is a door from the kitchen to the screened porch where the cat resides. Above the kitchen is the bedroom, where my wife lays her pretty head. I was in the kitchen. I clearly heard my name repeated over and over. “Al. Al. Al. Al.” Concerned, I went upstairs to the bedroom to see what Sugar was calling me about. I was concerned that something was wrong. When I opened the bedroom door, I saw that Sugar was still sound asleep. I concluded that she was dreaming about me and calling my name with joy. Then I returned to the kitchen to make some tea. Immediately, I heard my name being called again. Puzzled, because I had just checked on my wife, I listened carefully for the source of the sound. You guessed it — the cat was meowing my name, demanding to be fed. So, I woke Sugar up and told her to feed the cat! No, I didn’t, but I had you for a second. I fed the cat. What a good boy am I! We are glad to have the cat back home, but another person has lost her cat. The same neighbor who told us that she found our cat, and closed it in the tack room in her barn so we could recover it, called yesterday to ask if we had seen her white cat that lives in her barn. (Was she accusing us of stealing her cat?) Maybe her cat misses our cat and will show up here, but so far it has not. If it does, I will teach it to say my name. Then when it needs anything, I will come a runnin’. My friend, Kent, just returned from a six month sabbatical from his stressful job as a trial lawyer. I told him that our cat just returned from a three month sabbatical. To get her back, we had to have our neighbors shut the cat in the tack room in their barn when it went in there for food. That enabled me to catch her. She was sitting on a saddle when I opened the door. I had to be quick, and I am. She was captured without incident. It was Sugar’s good idea to stuff her in a pillowcase for the ride home. However, she seemed scared. So, when we brought her home, we locked her on our screened porch. We put her bed and litter box in there. We feed her there. We give her water. They say it takes a cat a couple weeks to familiarize itself with its environment enough to consider it home. In our case, it is to re-familiarize the cat with our home. I called Kent’s office and suggested to the receptionist that if Kent seems frightened about being back there in his formerly familiar surroundings, she might try locking him in his office until he re-familiarizes himself with those surroundings. Otherwise, I warned, he might try to get away. I did not tell her about the pillowcase trick. Gradualness is the key. Sugar and I are glad to help with the transition. Well, I am confident that Sugar will be glad once I tell her about it.